It’s the start of a new school year. You have your list from the school of the supplies you HAVE to buy, your kids have given you a list of the supplies they WANT, and you can’t wait for the quiet time you NEED when the kids go back. With all this on your mind, you probably have not thought about your dental habits and routine appointments. We have put together a quick and easy checklist for you to reference so you don’t forget anything! Schedule Dental Appointment: Going into the school year, schedules become busier and life becomes a bit more hectic. Scheduling you and/or your child’s hygiene appointment before the start of the school year is a good way to remember when you had your last cleaning. Routine hygiene appointments also lead to less emergency visits resulting in missed time from school. Get a Sports Mouth Guard: With the new school year, comes a new sports season. You only get one set of teeth, so make sure your child has a properly fitting mouth guard to protect them. When you schedule your next dental appointment, ask about a custom mouth guard which can be made right in the dental office! Toothbrush Replacement: When you get new school supplies like paper, pencils, and notebooks, don’t forget to grab a toothbrush, as well (or use your free toothbrush from the dentist!). 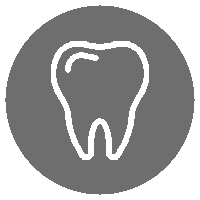 Manual toothbrushes work great but require diligence in brushing properly. Electric toothbrushes are more effective and most will monitor the timing for you, as well as let you know if you are brushing too hard, allowing for a better overall clean. Toothbrushes should be replaced every 3-4 months so let’s make the start of the school year a toothbrush replacing tradition! School Snacks: Buying healthy snacks such as cheese, vegetables, yogurt, fresh fruit, and grains are not only good for your health in general, but also good for your teeth! Buying these snacks for lunches are good for your children because during the school day they rarely if ever brush their teeth. This means that sugars and starches from other foods are sitting for hours on their teeth potentially causing decay. Retainer Cases: If your child has retainers, it is important to make sure they have enough cases to hold them. Retainers can be easily thrown away if wrapped in a napkin or crushed if left in a backpack. Having a case at home, in a backpack, in a gym bag, and any other common place where retainers are removed, helps to keep them from being broken or lost. Update Oral Hygiene Routine: Fall is a great time to get back into routines. As we go into a new school year, it is vital to have an oral routine to stick to. Brushing at least 2x a day for at least 3-5 minutes with a manual toothbrush or 2 minutes with an electric brush is easy to incorporate into your routines. It can be hard for children to stick to these routines. Activities such as a sticker chart, music, or personalized toothbrushes help encourage proper hygiene routines. Invisalign Consult: The school year brings a lot of fun events to look forward to such as prom, graduation, or just the fact that you have only 180 more school days until another summer! This gives you plenty of time to get the smile you want to show off. Scheduling your first Invisalign consult will give you a timeline for getting that beautiful smile in time for these events. Getting this scheduled will really give you something to smile about! 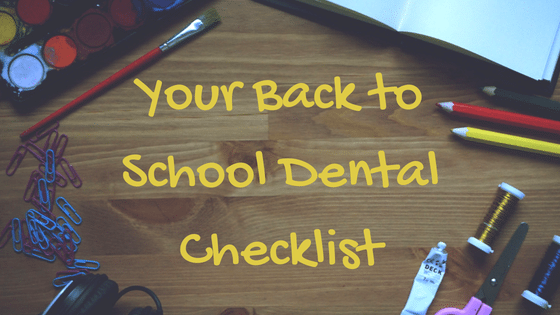 We hope this checklist helps you as you begin your new school year! Enjoy your remaining summer days as you prepare for the new school year. If you need to schedule an appointment or have any questions about your oral health, give us a call at 509-962-2755.